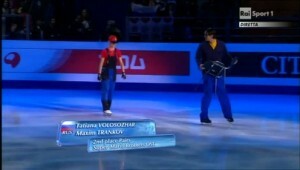 Mario (sort of) hits the rink in this awesome figure skating performance at a World Figure Skating Championships in Moscow. 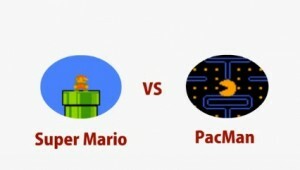 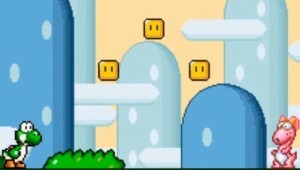 Two of the biggest icons of video games go head to head: Super Mario Vs. Pacman. 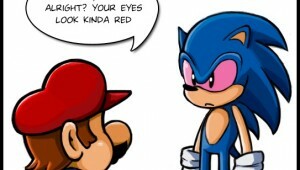 Hey Sonic, Why Are Your Eyes So Red?